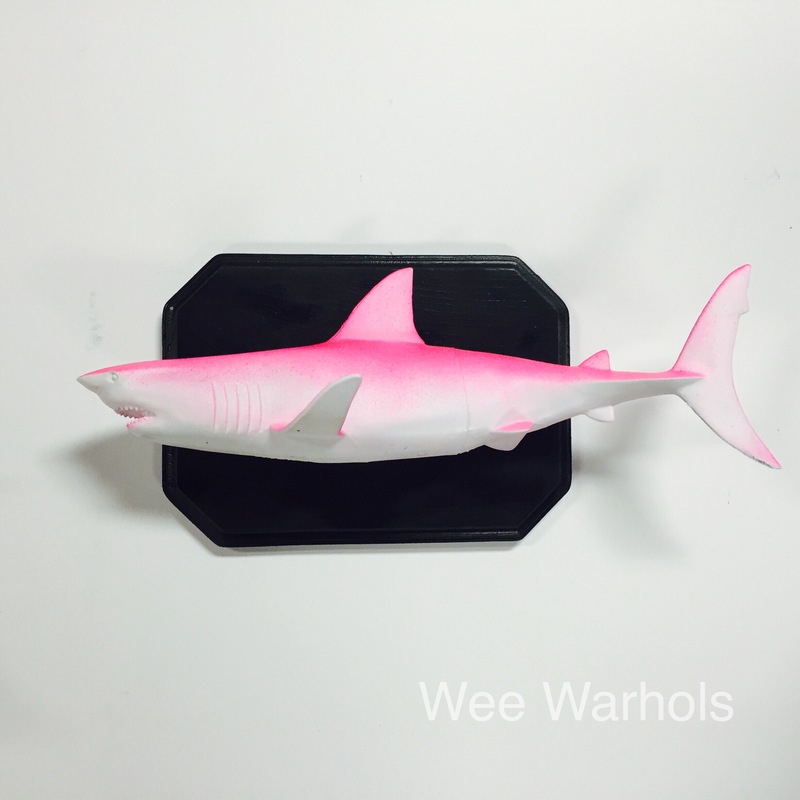 At Wee Warhols I basically spray paint everything I find with flat white spray primer and have the kids paint it. Everything is a canvas… well almost everything. We have some boundaries. I also like to gear the projects to my students to make them personal. I know that one of the Wee Warhols dads and one step dad are avid fishermen. 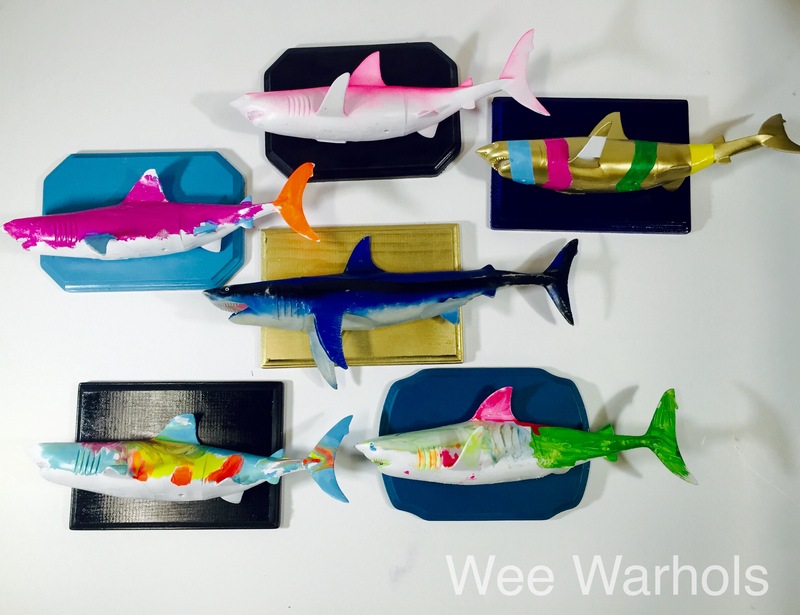 So when I saw these rubber sharks at Anna’s Toy Depot (a local toy resale shop) I knew that we needed to paint and show off our trophy fish. 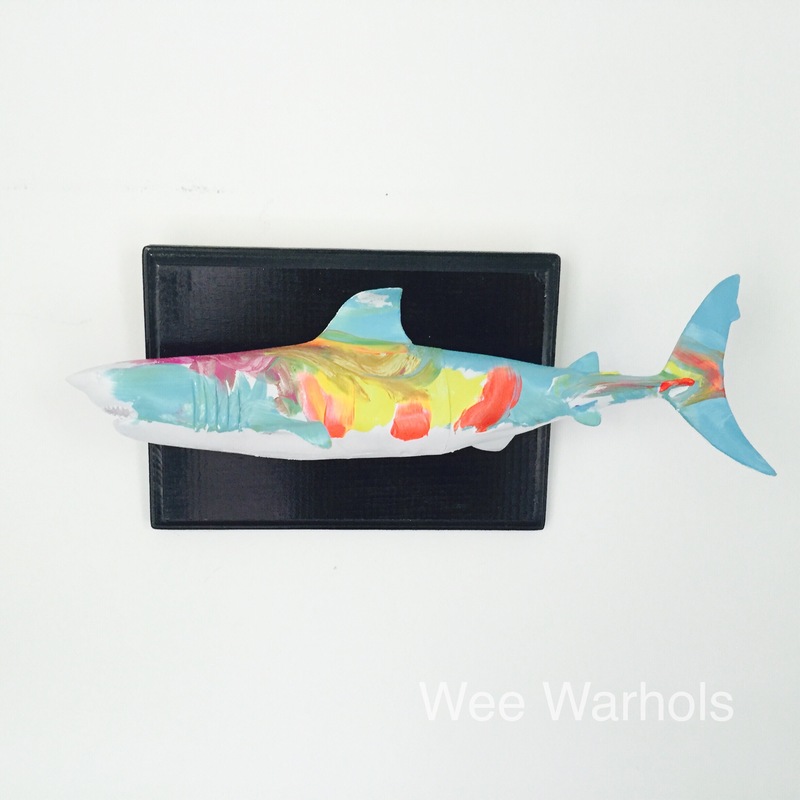 -I primed a bunch of wooden plaques and sharks before hand using white flat spray primer, like mentioned before. 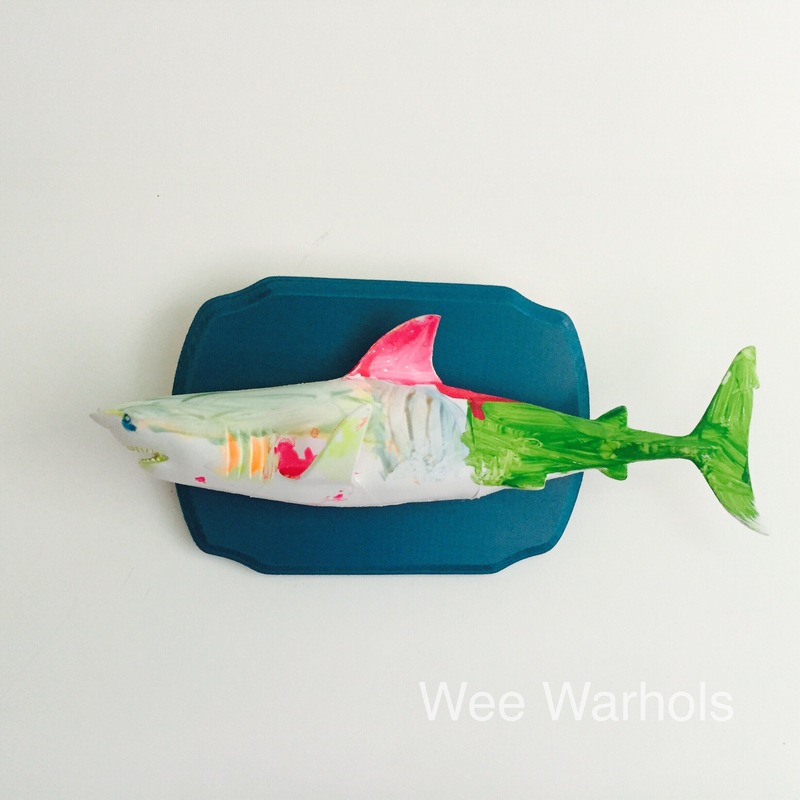 -The Wee Warhols painted the sharks with acrylic paint. 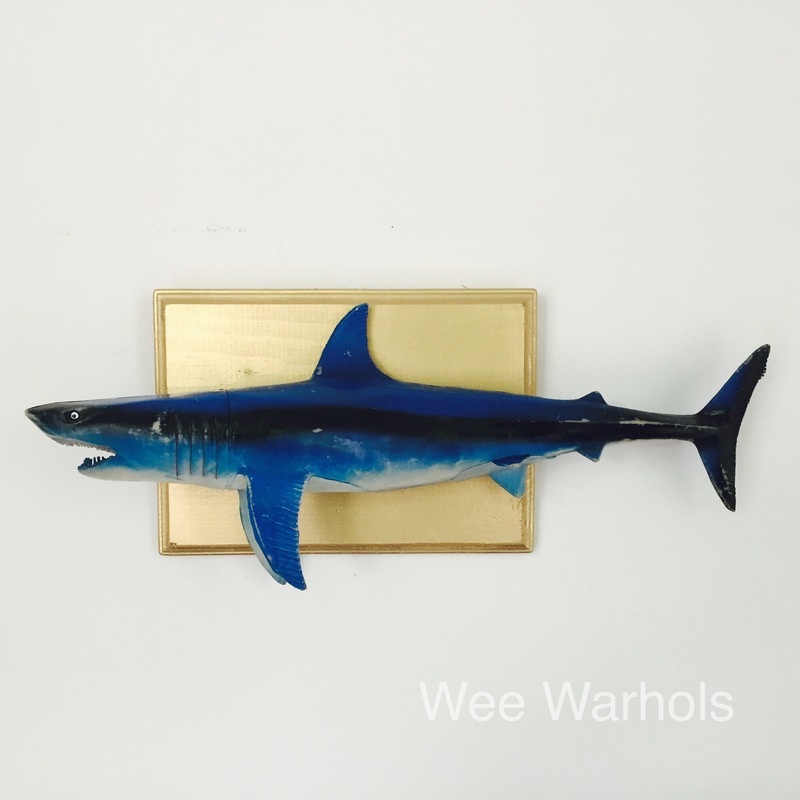 -The Wee Warhols picked out what shape plaque they wanted. 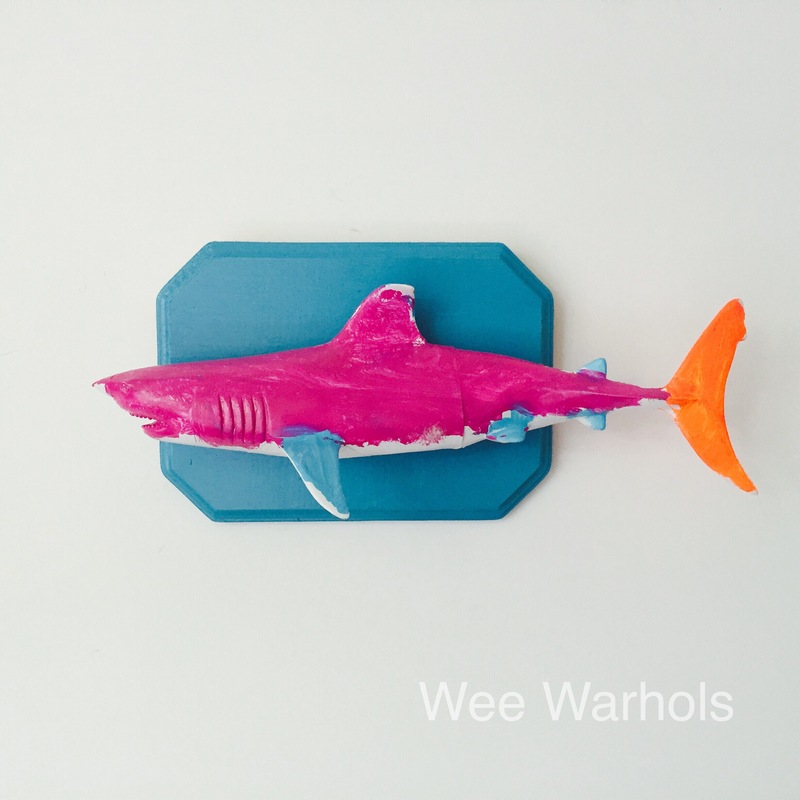 -The Wee Warhols choose a spray paint color for their plaque. -I spray painted the plaques, since I didn’t want them exposed to the fumes and those triggers are too hard for their little fingers to spray anyway. -I hammered hangers on the back before glueing the sharks to the plaques using E6000 Industrial Strength Glue. 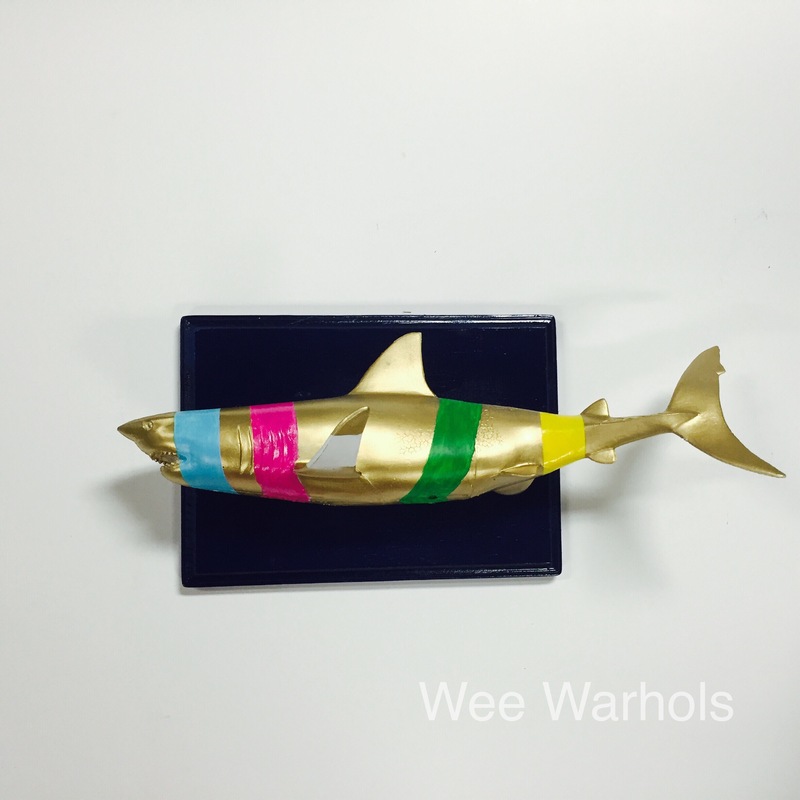 I love this project for a child’s bedroom or maybe the Wee Warhols will display them along with their father’s trophy fish. I couldn’t help but play with decorating one or two. Like I said… I decorated one or two. I loved the look of this vintage looking shark, so I left him like that.